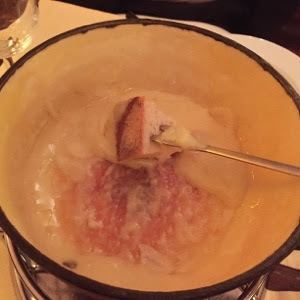 the BEST fondue in Basel! 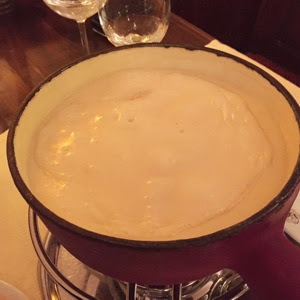 Summary : If you're in Switzerland in the winter time, then the one dish you must try is the fondue, because this is one of the signature national dishes of Switzerland, and it is sooo yummy! 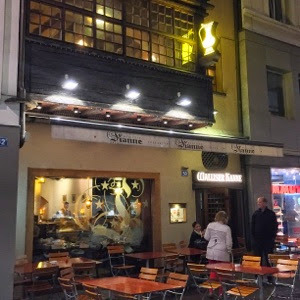 And in Basel, the best place to have this national dish is at the Walliser Kanne located in old town Basel. Once you bite into the piece of bread that has been drenched with the boiling cheese cooked with a good serving of Kirsh, it is like tasting heaven on earth! For someone who is on a strict low-carb diet, meaning no bread/noodle/rice, anything with starch, in the evening, I broke my own rule big time tonight because I had to have this amazing fondue! And it was totally worth it!!! 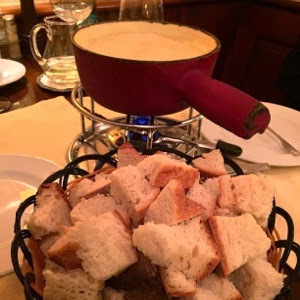 Overall, if you're in Switzerland in the winter, definitely have the fondue! No questions asked!